Sri Srinivasa Enterprises is one of the leading name for AC Repairs & Services in Hyderabad. Mr.B Srinivas Goud the propriertor of Sri Srinivasa Enterprises is a experienced technician having over a decade experience in providing AC Repairs & Services in Hyderabad. At Sri Srinivasa Enterprises we provide AC Repairs & Services in Hyderabad for all branded and non branded AC's. We have a team of well trained and professional AC Repairs & Service Engineers who can provide quality service for your AC's at your door steps. 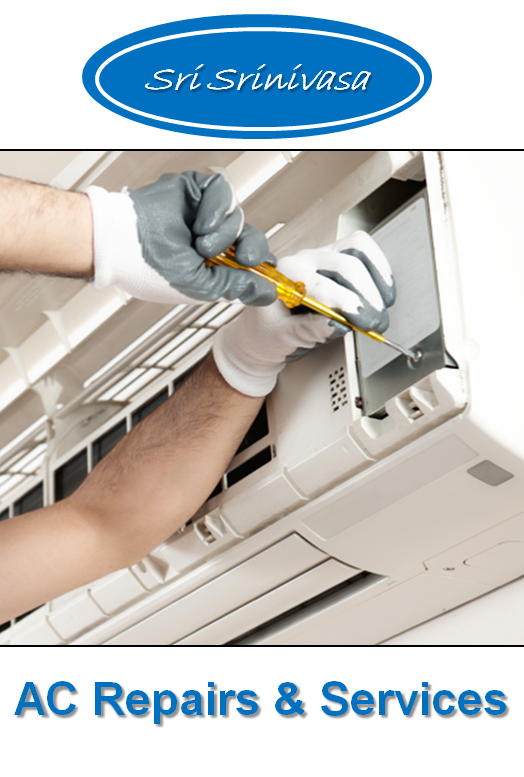 We have a well equiped AC Repairs & Service Center in Hyderabad to provide quality service to our customers. We deal in AC Repairs, AC Servicing, AC Spares etc. We prefer to use branded & company suggested spares for AC Repairs & Service. We guarantee you a quality service at all times. Sri Srinivasa Enterprises the service providers of AC Repairs and Services in Hyderabadis dealing all brands and makes with genuine spares is just a call away.